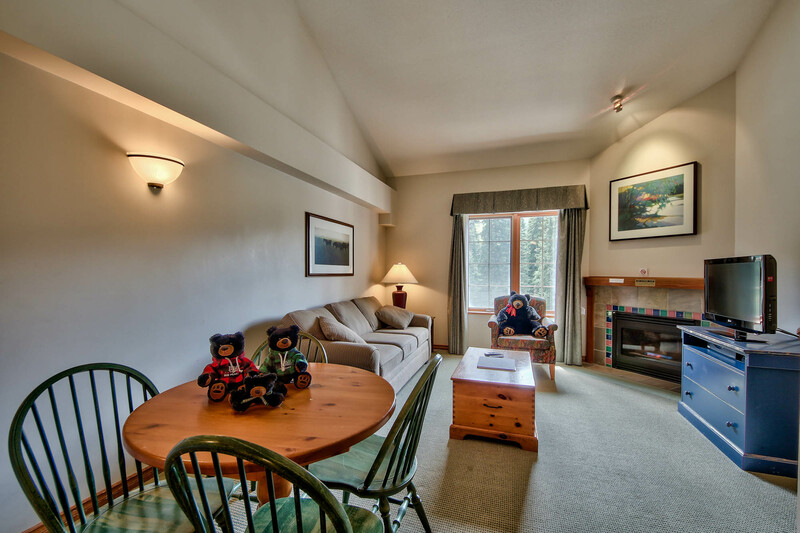 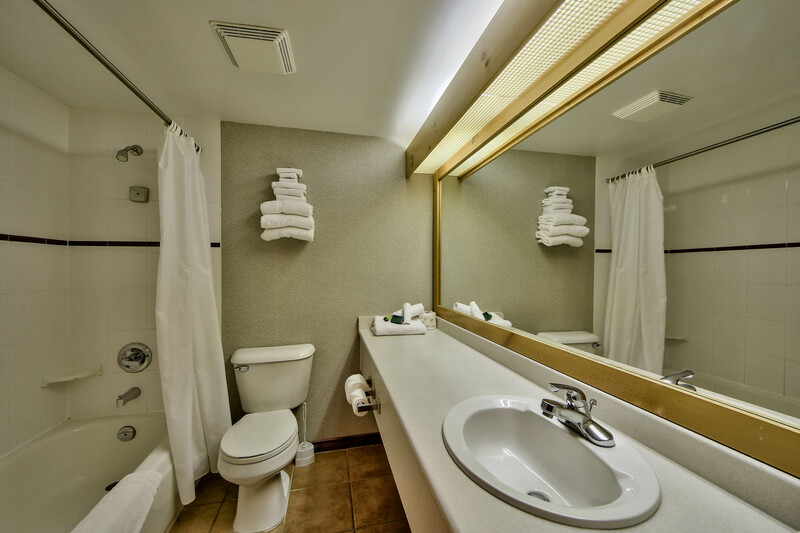 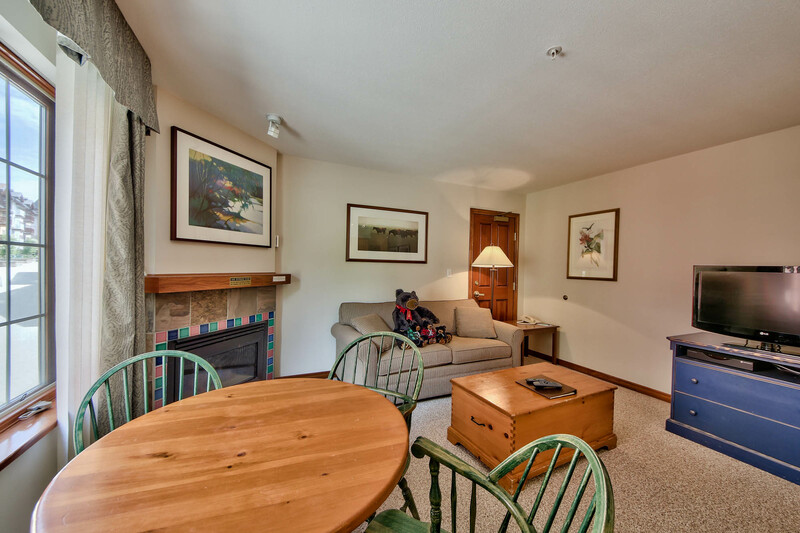 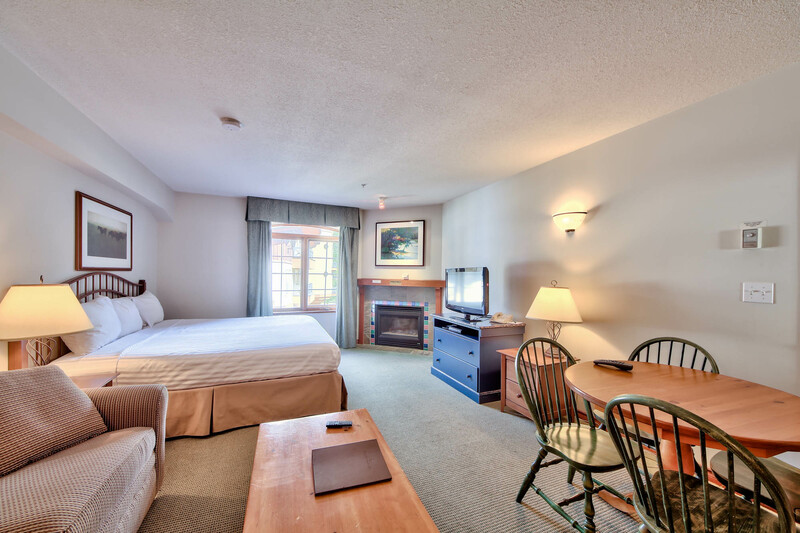 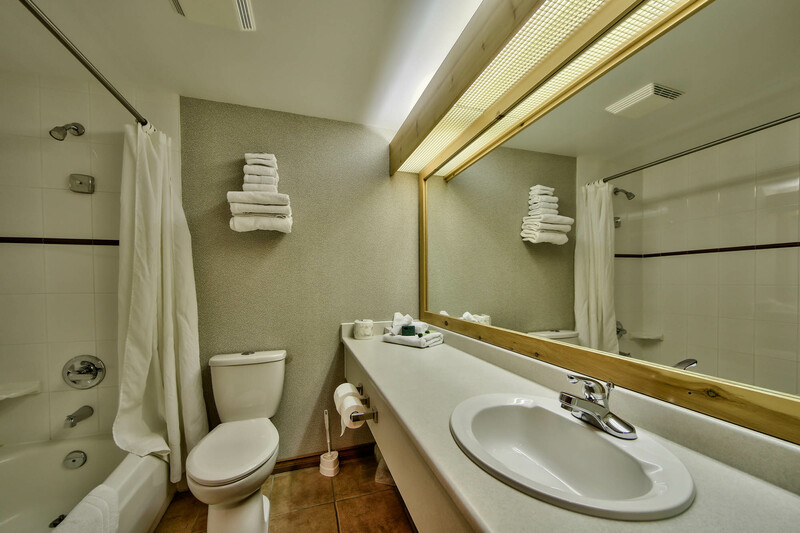 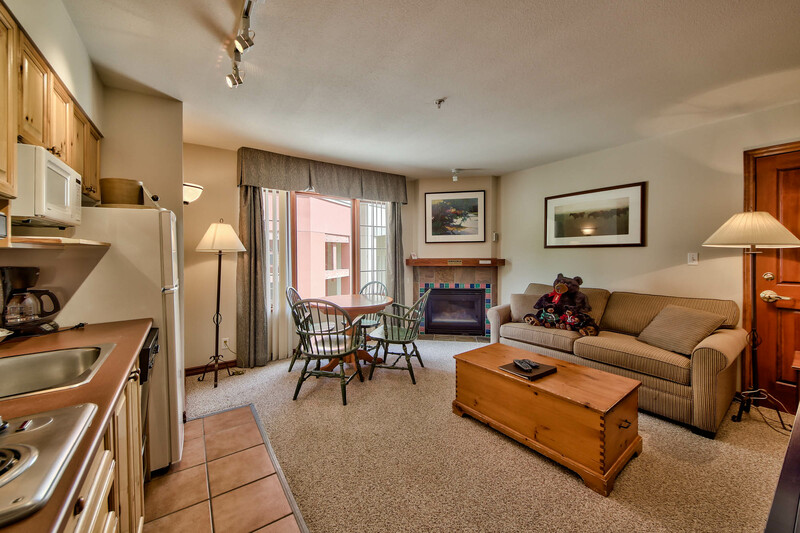 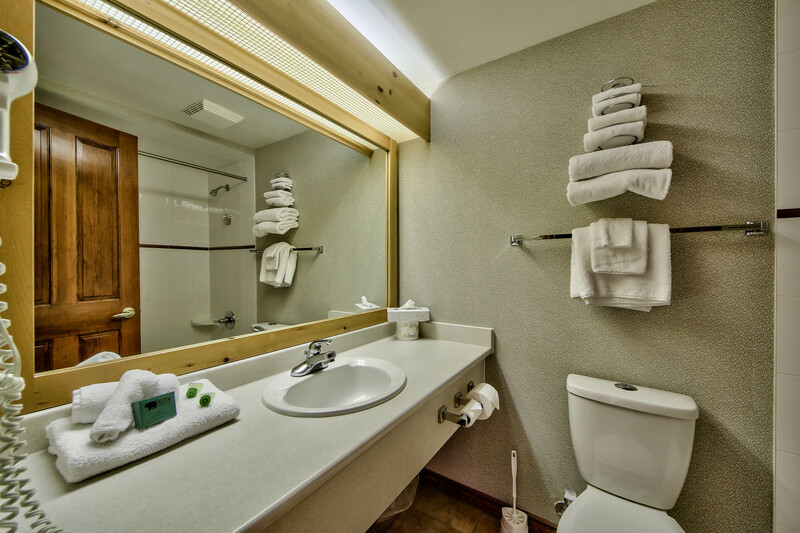 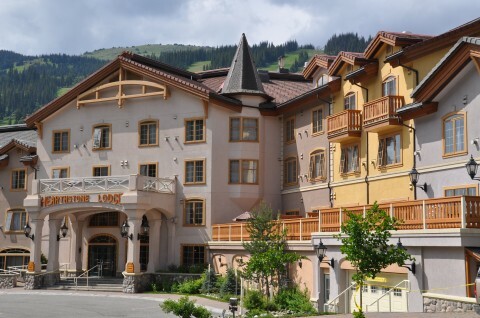 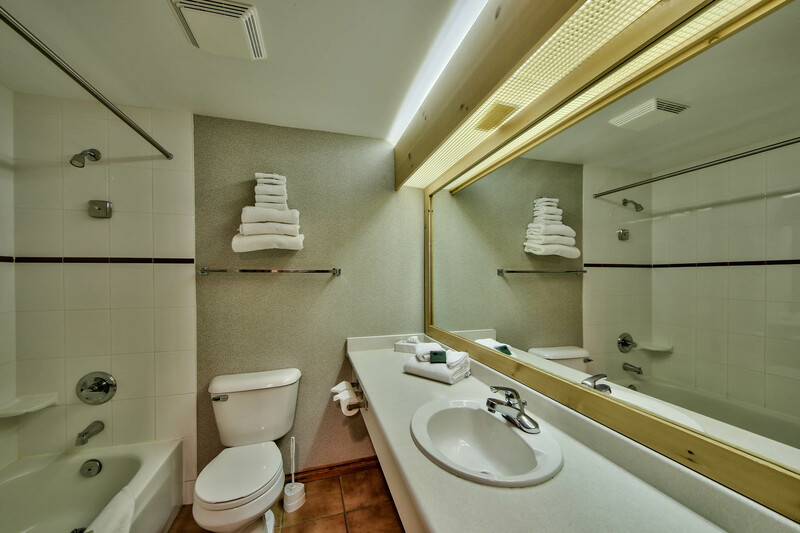 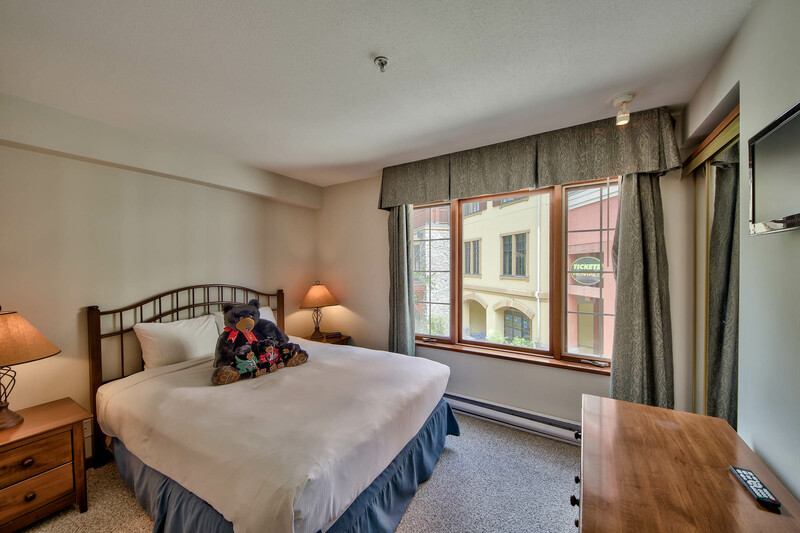 The Hearthstone Lodge offers Sun Peaks hotel suites that are spacious and welcoming. 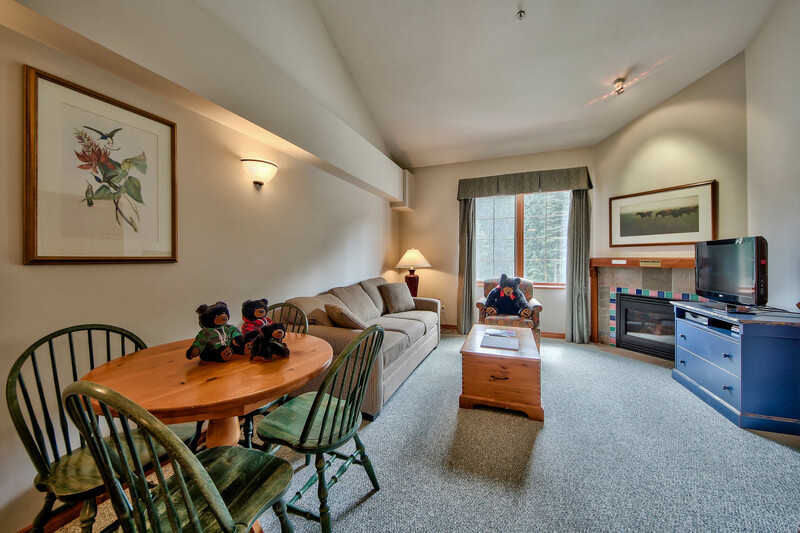 After an exhilarating day outdoors at Sun Peaks ski resort, stretch out in your hotel suite in front of the fireplace. 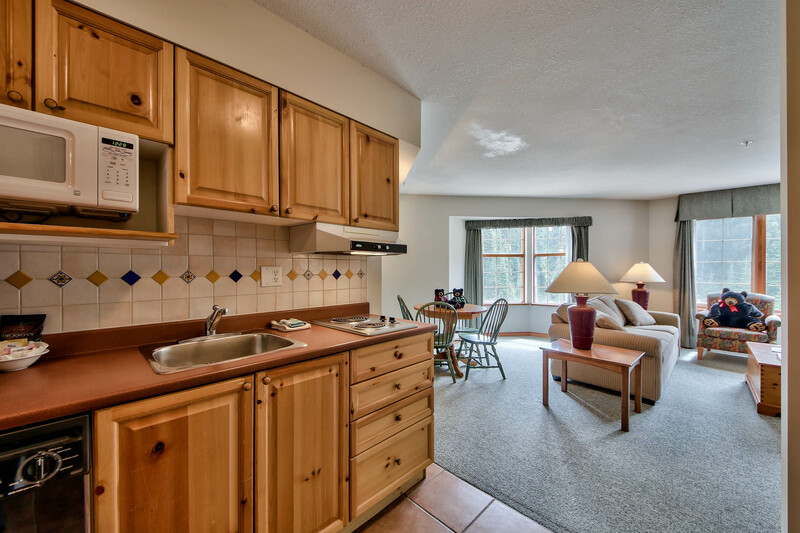 The convenience of a efficiency kitchen, satellite television, and high speed wireless internet plus ski in / ski out access makes for an exceptional Sun Peaks ski resort hotel experience. 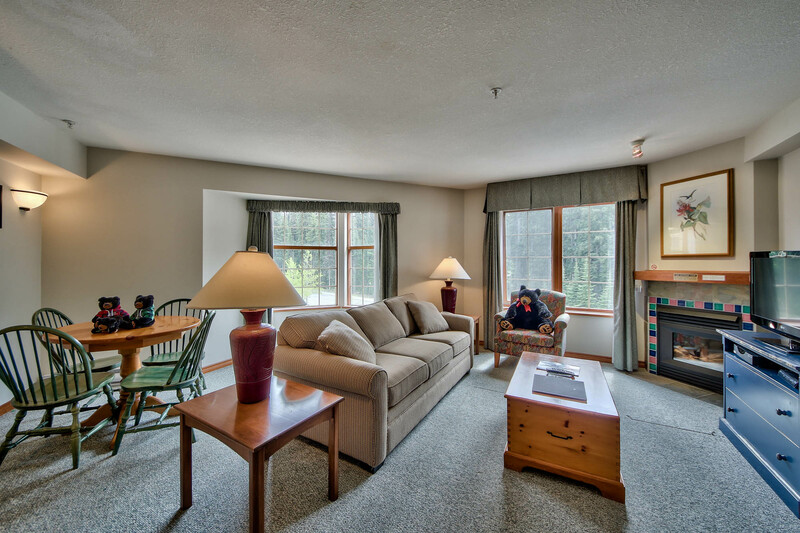 Deposit Policy: An advanced deposit equal to your first nights stay (before taxes) is due at the time of booking. 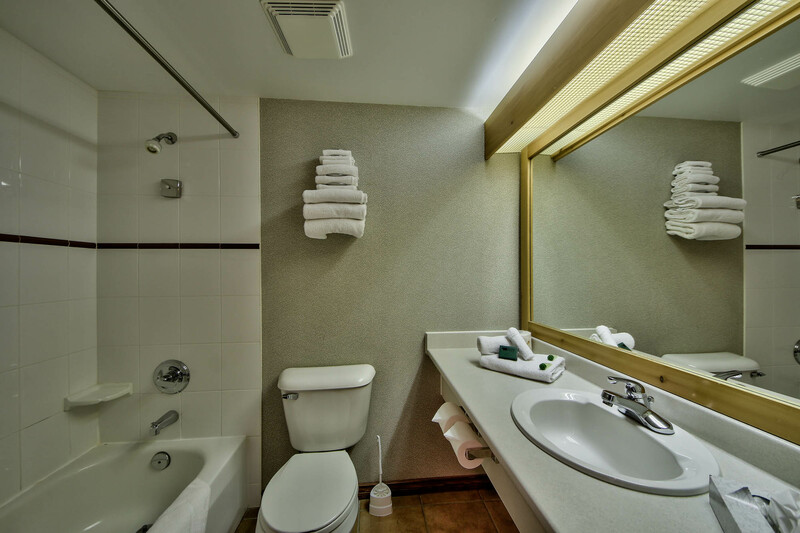 Final payment will be automatically charged to the Visa or MasterCard on file 30 days prior to your arrival. 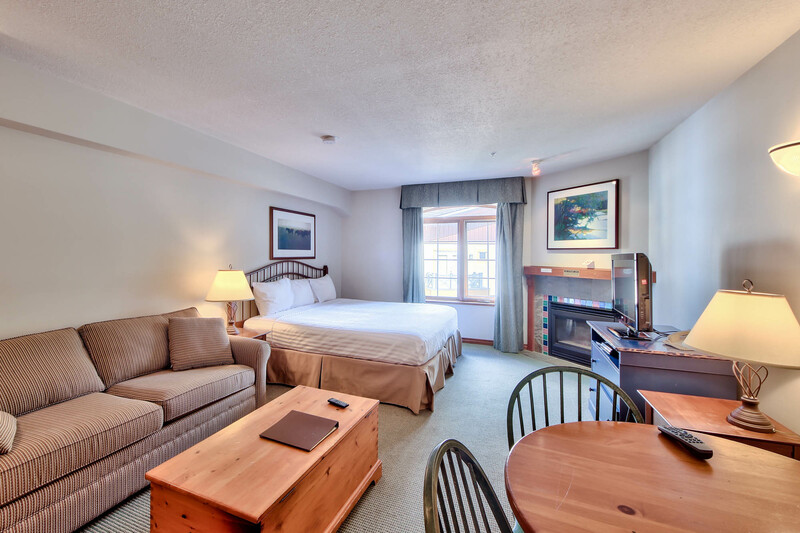 Cancellation Policy: If you cancel your reservation more than 30 days prior to your expected arrival date, an amount equal to your advanced deposit is forfeited. 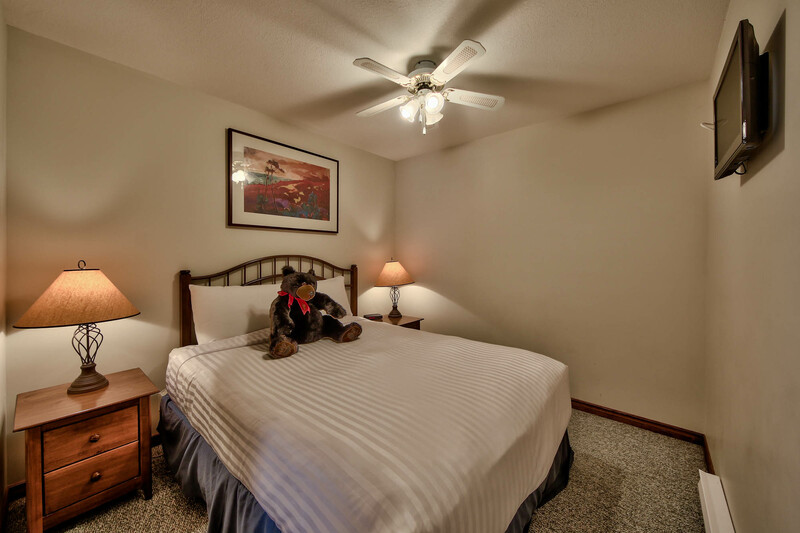 Cancellations made less than 30 days prior to your arrival will result in forfeiture of the full amount. 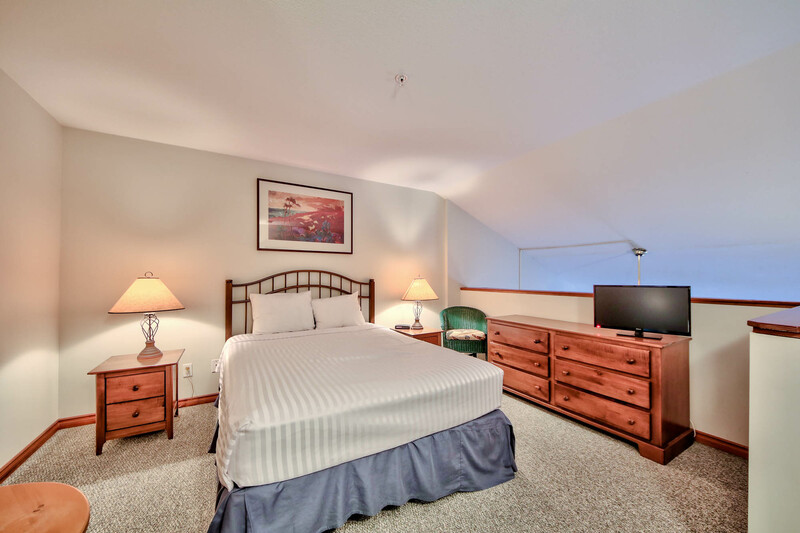 Choice of queen, king or two twins, or murphy bed. 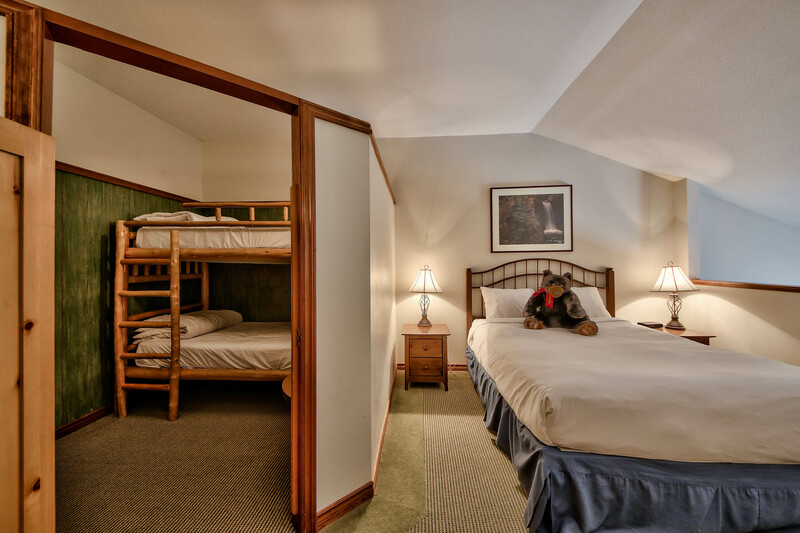 Queen bed, one set of bunk beds and a sofa bed.